This mirrorless full-frame takes its predecessor’s superb resolution and throws in 10fps shooting too – amazing! OF course, it was bound to happen. We knew Sony had the technology to combine high resolution with high-frame rates from the moment it launched the Alpha 99 II, and then Nikon announced the D850, which pulled the same trick. 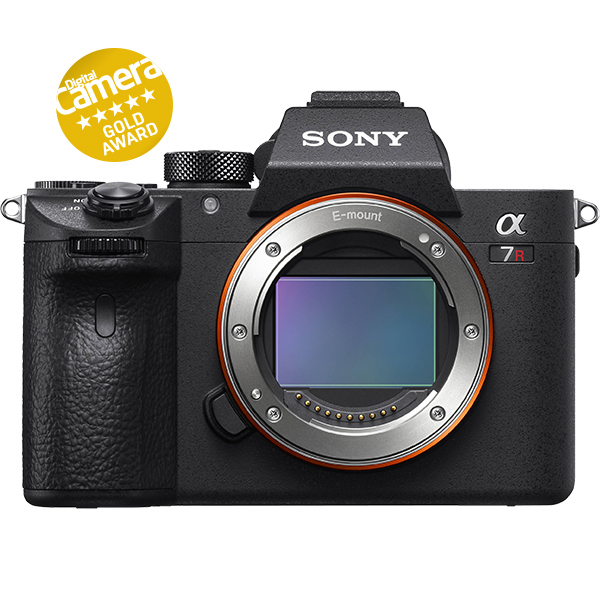 Some might be disappointed that the sensor resolution is unchanged from the A7R II’s at 42.4 million pixels, but this sensor is capable of outstanding quality and the improvements to the continuous shooting speeds are much more important – because the new model can top out at an amazing 10 frames per second at full resolution. Not only that, it can sustain this for up to 76 compressed raw files. Frame rates grab the headlines, but they mean very little without the buffer capacity to go with them. If the A7R III had the buffer capacity of a typical non-professional camera, it would grind to a halt after a burst of just a couple of seconds. Instead, it can keep going for more than seven seconds, and that makes a big difference for a professional sports photographer. This camera has another trick – a completely silent mode that will allow you to shoot in situations where the machine-gun clatter of a regular DSLR would be banned. The A7R III has dual memory card slots too, though, despite the emphasis on speed, only one of these is UHS-II compatible – a bit of a surprise given this camera’s performance potential and, let’s face it, its price. 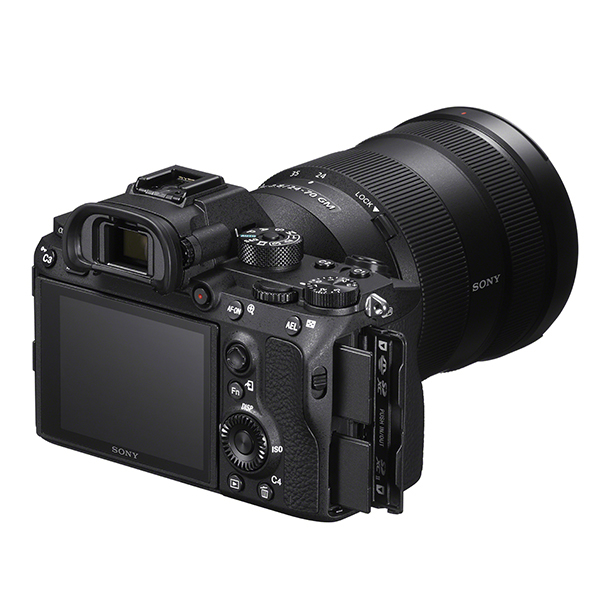 The autofocus system has been designed to match this camera’s continuous shooting performance, with a 399-point phase-detection array already seen in the A7R II combined with a 425-point contrast AF array inherited from the Sony A9. Sony says this system is up to twice as fast in low light, twice as precise for continuous focus tracking and reliable down to -3EV. 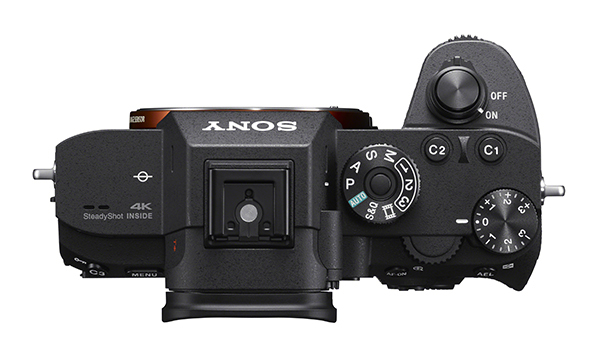 Sony says its in-camera five-axis SteadyShot system has been enhanced to offer 5.5 stops of effective compensation, and a new NP-FZ100 battery offers 2.2x the life of the NP-FW50 battery used in the A7R II. That will be music to the ears of any long-time Alpha 7 users, who by now will be accustomed to carrying around a set of spares for longer shoots. The video capabilities get a boost too, with a new HLG (Hybrid Log Gamma) picture profile for an instant wide dynamic range movie effect without the need for grading on a computer, in addition to S-Log2 and S-Log3 modes. Last but not least, the A7R III has a new Pixel Shift Multi-Shooting mode, which takes a series of shots in quick succession with a one-pixel shift between each to capture a special higher-resolution image file (as if this camera needs one), with full colour information for each pixel and reduced moiré in fine patterns and textures. This requires a longer overall exposure, though, and hence a relatively static subject and external processing on a computer. Similar technology has been used already on certain Olympus, Pentax and Hasselblad cameras. 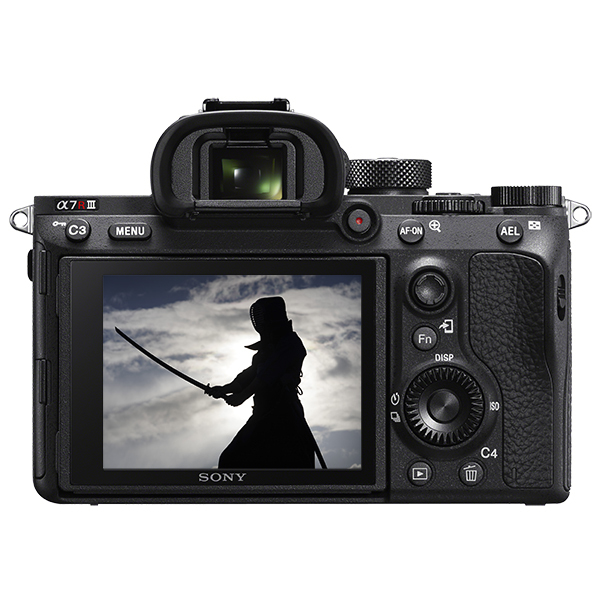 In short, the A7R III is a substantial upgrade of the ‘old’ A7R II. The resolution is the same, but the continuous shooting speed has been doubled, with a buffer capacity and upgraded autofocus to match, and a series of other enhancements make the new camera an altogether more powerful and versatile proposition for professional photographers, videographers and well-off enthusiasts. There’s something different about the way the A7R III feels in your hand compared to the A7R II, and on closer inspection, it turns out the new camera is 73.7mm thick, compared to the 60.3mm of the old model. Part of that is due to a slightly larger grip, and part from a slightly thicker back section. It’s an observation rather than a criticism. Otherwise, the A7R III shares the same remarkably small frontal area as previous models. 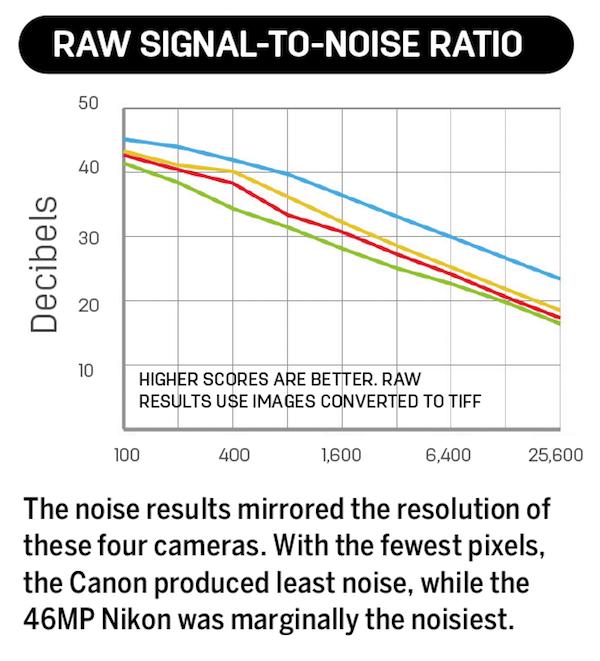 That’s a good thing if you want the most compact camera possible, but there is a caveat. 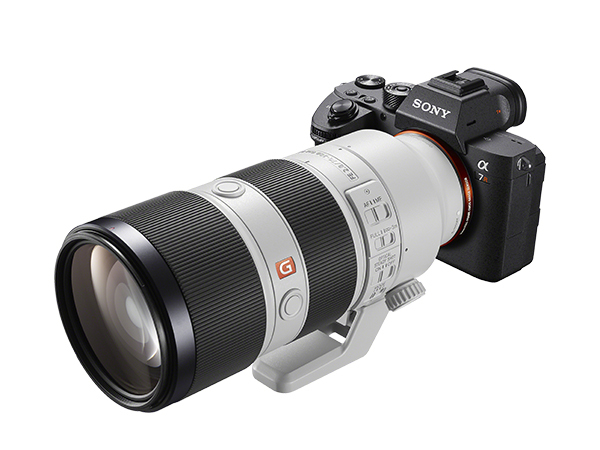 Sony’s camera bodies might be small, but its lenses – especially its good ones – certainly aren’t. These are just as big as comparable full-frame DSLR lenses, sometimes bigger, and this has two effects. First, with a pro lens fitted, the A7R III doesn’t offer the size advantage over a full-frame DSLR that the body-only dimensions might suggest, and second, the lenses do feel a bit big for the body. We tried the A7R III with Sony’s 24-105mm f/4, 16-35mm f/2.8 and 70-200mm f/2.8; and while it’s perfectly manageable with these big lenses, action or portrait shooters might want to look at the Sony VG-C3EM grip to make the camera-lens combination a bit more wieldy. The rear screen tilts up and down but isn’t fully articulated, so it’s fine for horizontal shooting at all sorts of angles, but less flexible when the camera is being held vertically. The electronic viewfinder in the A7R III is crisp and lag-free, but doesn’t give a very good representation of the dynamic range the camera will capture. There’s a general assumption that electronic displays will give an accurate rendition of what the sensor will capture, but that’s only true as far as the screen’s ability to simulate exposure, white balance and image effects are concerned. It’s a digital display like any other, and this one is pretty contrasty and could make you think shadows and highlights are clipped when actually they aren’t. The A7R III’s shift towards action photography gets a boost with a new multi-selector on the back of the camera to set the focus point/area position for your shot. Alternatively, you can tap on the screen to set the focus point. Both worked fine, though the autofocus options, in general, are not for the faint-hearted. This is a professional camera aimed at professional users, so you might not expect any particular beginner-friendliness, but here even experienced photographers will need to spend some time with the manual – and with the camera out in the field – to find the autofocus settings that best suit the way they work. Apart from the autofocus mode itself – single shot, continuous AF or automatic selection – there’s a choice of five AF point modes, including Wide (automatic selection within the whole AF area); Zone (automatic selection within a smaller zone); Center, Flexible Spot (which you can move around the frame); and Expand Flexible Spot (uses focus points around the selected spot). It doesn’t stop there. All five are available under an additional Lock-On AF mode, where the AF system will track your initial locked-on subject within the zone/area you’ve selected. It sounds complicated, but it doesn’t take too long to grasp the principles and to pick out the modes that sound like they might work best for you, although it might a good deal longer to check and compare the results with real-world subjects, which don’t behave in a predictable fashion. For our tests, we recruited the help of a kenshi (swordsman) running through a series of kenjutsu patterns, which combined movement across the frame and towards the camera. We wanted to find out how well the AF system could track the mask on the helmet and keep that sharp as the key point of focus through these fast and complex movements. 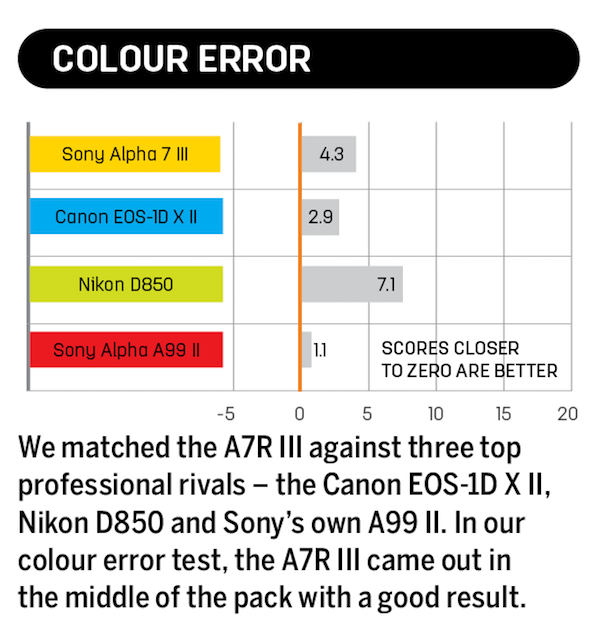 In fact, the A7R III kept up pretty well, although each AF zone had its pros and cons. 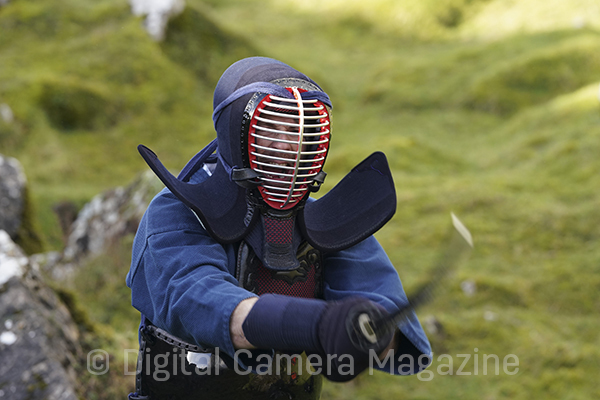 The Flexible Spot mode was best for keeping the mask in focus, provided we kept the AF point in the right place – but that wasn’t easy with sudden lateral movements and sword strokes in front of the mask. Using a wider focus zone and focus tracking took the pressure off accurate focus point positioning and allowed a steadier camera position, but if the subject left the zone the AF defaulted to the background, and in some instances, the camera lost focus completely for a frame or two for no obvious reason. When you’re being attacked by a sword-wielding kenshi you want an autofocus system you can rely on. Photographing moving subjects like this demands a good deal of skill, anticipation and practice on the part of the photographer. The A7R III’s AF system responded well with a really tough subject, with a good hit rate of in-focus shots, but confirmed that skill, practice and luck are part of the equation too. The new focus-point selector on the rear of the camera helps you target off-centre subjects quickly. 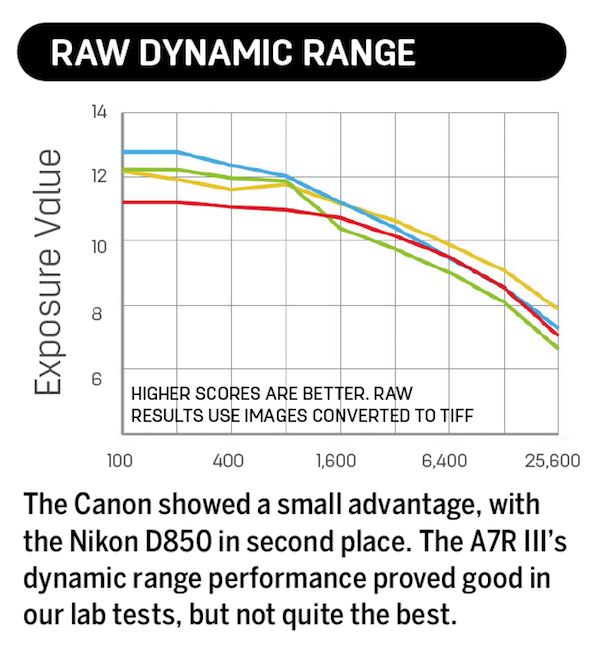 It’s hard to fault the A7R III’s performance. If sports and action were your main field, you’d probably choose the Sony A9 over this model, but if your work relies on quality and speed, then the A7R III delivers both brilliantly. The image quality is equally impressive. Provided you’re using the best lenses and shooting technique, this is as good as it gets for full-frame cameras. The A7R III’s JPEGs show good colours, contrast and definition, but to get the best from this camera you’ll want to shoot raw. At the time of going to press, Adobe had yet to update Adobe Camera Raw/Lightroom with support for the Sony’s ARW files, so we used Capture One instead. This revealed the full dynamic range available from this sensor, together with extended highlight detail that was sometimes clipped in JPEGs. 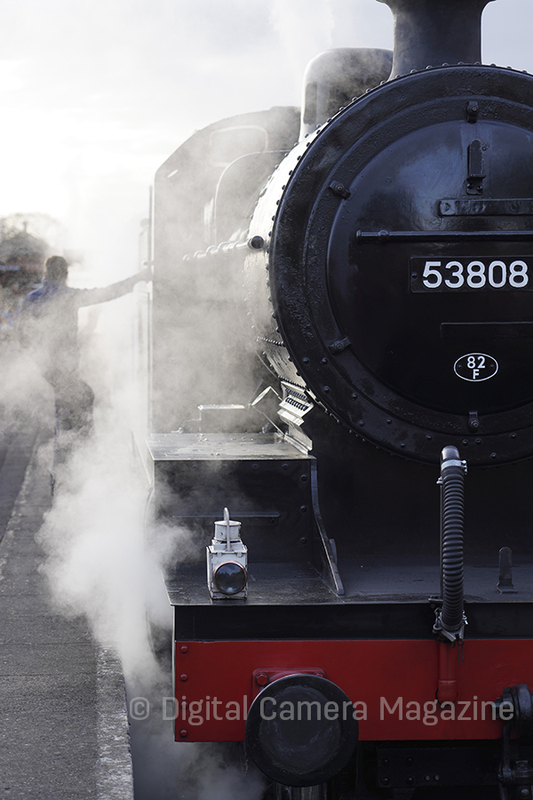 It might deliver very high resolution, but it’s not at the expense of overall image quality. The A7R III even proved pretty impressive at high ISO settings, where we found the image quality perfectly acceptable right up to ISO 12,800. There are visible noise and some loss of fine detail at this setting, but from normal viewing distances, it hardly shows. We don’t normally cover video in depth, but we did try out the Sony’s 4x full HD slow-motion capabilities and its five-axis in-body stabilisation. The slow motion looked great, but while the stabilisation smoothed out shake, you’ll still need a tripod or stabilised rig to iron out slower movements and ‘drift’. The A7R III’s sensor is very close to the front of the body, though, and has no mirror to protect it, so it’s a bit of a dirt magnet. It’s easy enough to clone out sensor spots in stills but less easy in videos. 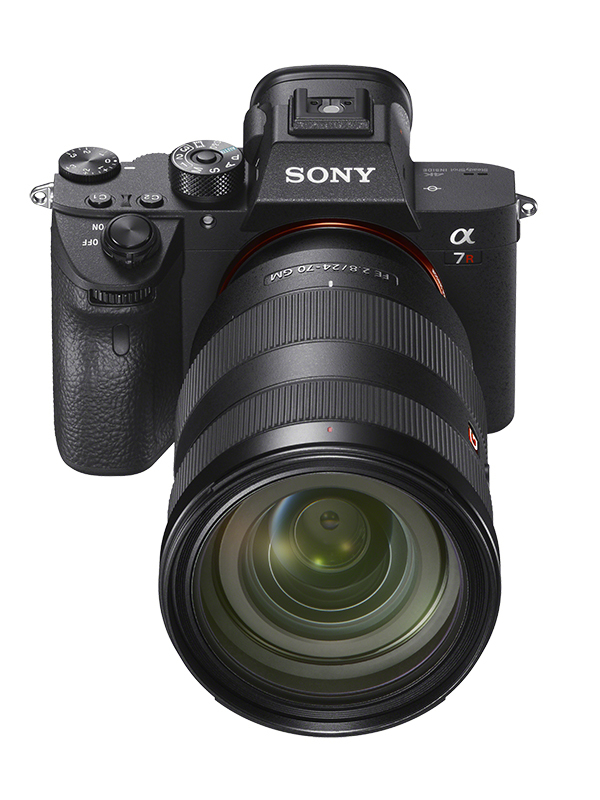 Overall, the Alpha 7R III’s performance is deeply impressive. It offers superb resolution and overall image quality, with 10fps shooting plus 4K video and full HD at 120fps. 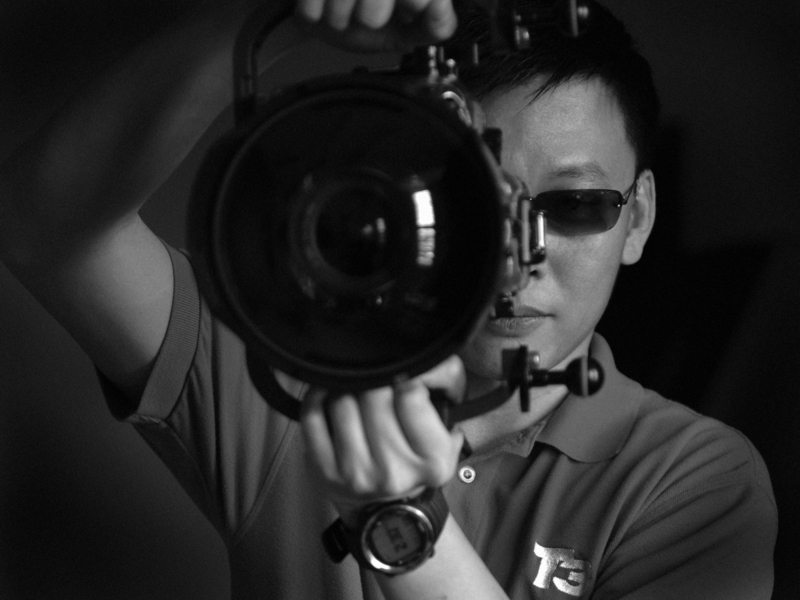 This is a seriously powerful and versatile professional camera.